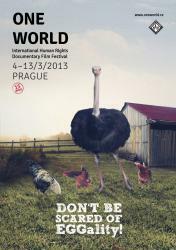 The 15th annual One World International Human Rights Documentary Film Festival will draw attention to the recent dangerous tendencies in the Czech society. The festival’s provocative Don’t Be Scared of Eggality! is to open a discussion about growing intolerance, racism and discrimination. The festival reacts to the current state of society in the Czech Republic that faces growing pressure caused by economic development and its social impacts as well as by the crisis of political representation. Although homogeneous in nature (unlike western European countries), the Czech society – and the Czechs themselves – are able to find opportunities for inner discrimination and delimitation. Quite automatically, a large percentage of the Czechs negatively react not only to their Romany neighbours but also to different political beliefs, loud conversation in the street, people coming from other towns and cities or people living an alternative lifestyle. The festival’s serious topic is sharply contrasted by the 2013 One World playful animal graphics. “An ostrich promenading among chickens in the Czech backyard is nothing exotic today. Still, the much bigger ostrich eggs can get under the skin of a Czech chicken. 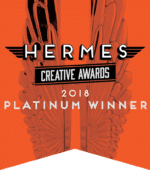 It always starts quite innocently: I have nothing against the ostriches but … And then, sooner or later, the ostrich almost gets pecked away,” says František Dečman of the Creative Heroes agency – the authors of the festival’s visual – when describing this creative idea. via One World 2013 Says: Don’t Be Scared of Eggality! | Film Festival One World 2013.